The Taiqi Seiko air blower also called fans is divided into medium pressure blower and high pressure blower. TQG air blowers mainly include the following six parts: motor, air filter, blower body, air chamber, base (and oil tank), and drip nozzle. The blower is eccentrically operated by a cylinder-biased rotor, which makes the volume change between the blades in the rotor groove, and then draw, compresses, and discharges the air. TQG provides air blower custom & wholesale service. In operation, the pressure difference of the air blower is used to automatically send the lubrication to the drip nozzle, and then drip into the cylinder to reduce friction and noise, and at the same time keep the gas in the cylinder from flowing back. This type of air blower is also called the vane blower. The TQG air blower operates without friction in the machine body and does not require lubrication, therefore the discharged gas does not contain oil. It is an ideal pneumatic conveying source for chemical, food and other industries. 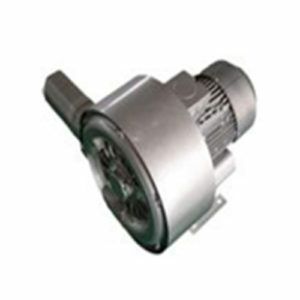 Taiqi Seiko air blower is a volume operated blower. When used, the flow changes very little as the pressure changes. While the flow varies with the speed, therefore, the choice range of pressure is wide, and the choice of flow can be achieved by selecting the speed. The speed of the air blower is relatively high, and the gap between the rotor and the rotor, the rotor and the body is small, so that leakage is small and the volume efficiency is high. The structure of the TQG air blower determines that its mechanical friction loss is very small. 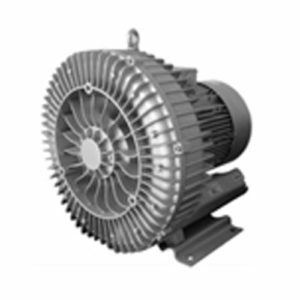 Safe operation and long service life are another major feature of blower products. The rotor of the air blower is inspected by static and dynamic balance. The finished product runs smoothly and the vibration is extremely small.